Should finish over 15 hands. 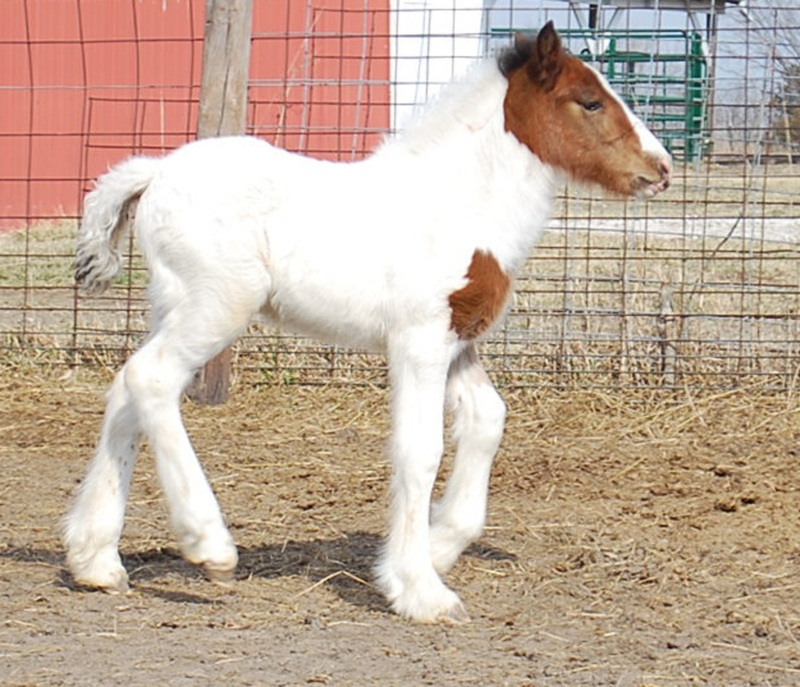 A bay and white filly or a tricolored. This little girl isn't so little. Her dam is 15.2 hands and sire is just over 15 hands. Ditto is a carbon copy of her mama with lots of bone and a very sweet personality. And her sire, our Flynn also contributed a massive amount of bone and hair to this girl. 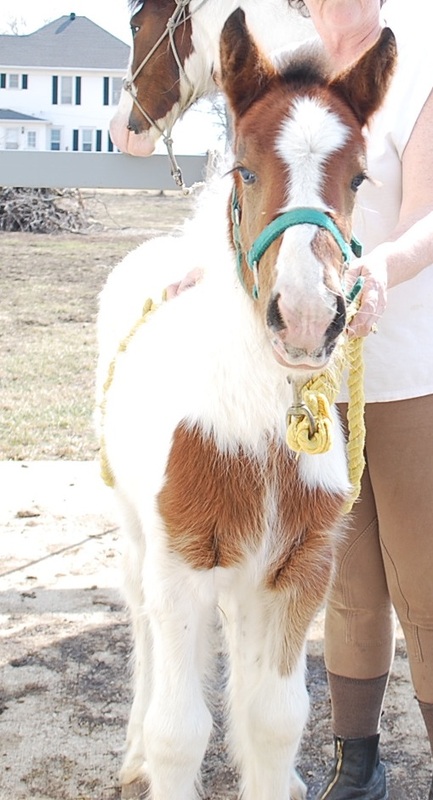 She is going to be an amazing adult horse. With her size you could take her in any direction you want to go. 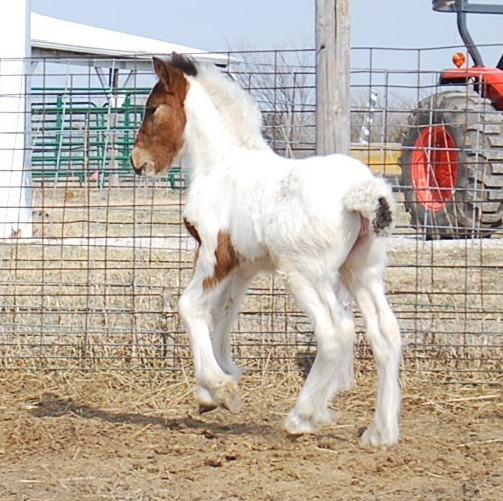 Don't miss out on this hard-to-find BIG purebred Gypsy Vanner. Both parents are GVHS registered.